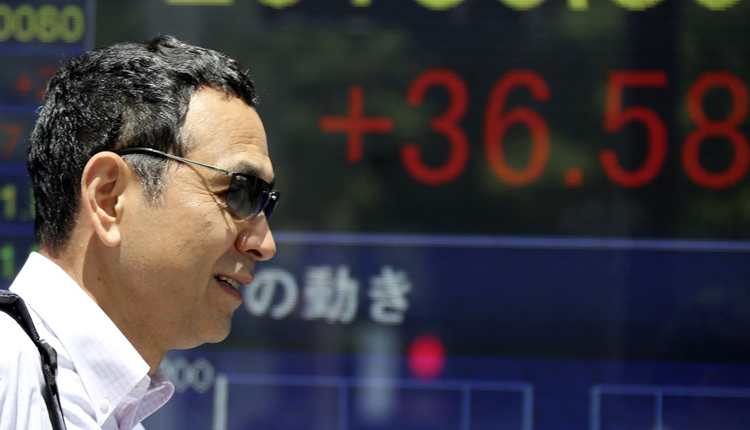 Asian markets saw gains during Thursday afternoon trade on the back of a strong finish overnight on Wall Street after the U.S. Federal Reserve said it would be “patient” in raising interest rates going forward. The mainland Chinese markets rose in the morning session. The Shanghai composite advanced more than 0.6 percent and the Shenzhen component gained 0.445 percent. The Shenzhen composite climbed slightly higher. Meanwhile, Hong Kong’s Hang Seng index gained 1.21 percent. The market movements came after China’s official data showed that manufacturing activity in January contracted for the second consecutive month. The manufacturing Purchasing Managers’ Index (PMI) for January was 49.5, according to the Chinese National Bureau of Statistics, higher than the 49.4 reported in the previous month. “The PMI data is actually slightly better than what we expected,” Thomas Fang, head of China equities at UBS, told CNBC’s “Street Signs” on Thursday. Elsewhere in Asia, the Nikkei 225 and Topix in Japan saw gains of 1.28 percent and 1.35 percent, respectively, as shares of Japanese conglomerate Softbank Group jumped more than 4.7 percent. South Korea’s Kospi rose 0.25 percent. Shares of industry heavyweight Samsung Electronics rose 0.65 percent despite the company warning of weaker earnings in 2019 following a 29 percent plunge in its fourth quarter operating profit. In Australia, the ASX 200 was largely flat as the sectors traded mixed. Shares of oil companies advanced as the energy subindex rose 1.7 percent following Wednesday’s gain in oil prices. Santos was higher by 2.69 percent, Woodside Petroleum rose 0.82 percent. Beach Energy soared 5.13 percent after the company raised its production guidance for fiscal year 2019. Oil prices continued to see gains during Asian afternoon trade on Thursday. The international benchmark Brent crude futures contract gained 0.99 percent to $62.26 per barrel. The U.S. crude futures contract rose 0.77 percent to $54.65 per barrel. “The (Federal Open Market Committee) statement suggests that the next move in official interest rates could be up or down — a significant departure from previous signalling of further gradual rate hikes,” analysts from Commonwealth Bank of Australia said in a note. “Our view remains that the strength of the US economy supports moving the Fed Funds target rate a little further into the neutral‑range of around 2.5%‑3.5% over the course of 2019. But the risk is less tightening, rather than more tightening. We also continue to expect the start of a monetary policy easing cycle in 2021,” they said. “I think a deal will be done, it might not be done this week, it might even be done, quite frankly, by March 2nd. But at the end of the day, as we’ve seen in the past, the real issue will not be about the deal, it will be about the enforcement of that deal,” Curtis Chin, an Asia fellow at economic think tank the Milken Institute, told CNBC’s “Squawk Box” on Thursday. “In the past it’s been China promises, you know, U.S. accepts. But whether or not China really delivers, that’s really (what) we’re all focused on right now,” Chin said. The U.S. dollar index, which tracks the greenback against a basket of its peers, was at 95.261 after seeing an earlier session high of 95.379. The Japanese yen, widely viewed as a safe-haven currency, traded at 108.85 against the dollar after seeing lows above 109.6 yesterday. The Australian dollar was at $0.7268 after rising from levels above $0.714 in the previous session.